What do you have in mind? Are you traveling with 1 – 2 other couples, children and grandchildren, celebrating a special event? 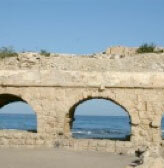 Tour Israel Now will arrange your tour with a licensed private guide driver in a comfortable touring van. He’ll get you in and out of the tight spots quickly and easily. Your touring experience will mean much more when it is personalized and the details are all handled in advance. No one likes surprises. 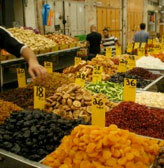 Tour Israel Now works closely with the on location company in Tel Aviv as well as the local guides. In the USA we are in continuous communication with you before your departure and with your guide DURING your trip. Tour Israel Now: a Division of Travel With Laura, LTD.
Travel With Laura, LTD.; has been in business for over 35 years and proudly announces the specialized division: Tour Israel Now. 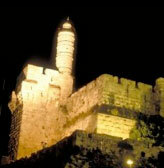 Laura has traveled to Israel over 50 times in search of the very best experiences for you. Learn through her expertise and let her organize the most enjoyable and rewarding experience for you, your family and friends. Remember that there is a whole world out there to explore. With Laura’s extensive travel experience, her knowledge of Skiing, SCUBA, Golf, couples and family all inclusive resorts, beach destinations, sightseeing adventures, theater trips and cruises, her ability to assist in planning your next vacation makes it easier and worry free for you.